Bit of a change of pace for the blog this morning – rather than a large dollop of skepticism served with a side dollop of sarcasm, topped with a tiny dollop of seriousness (yes, I do consider all of our posts definable in terms of dollops. Dollop dollop dollop), we have something a little fun and light-hearted for you, from our good friend Prof. Dowling. Below is an image captured by the good Prof. and his electron microscope. Your task, quite simply, is to tell us: What Is It? This entry was posted on January 21, 2010, 10:00 and is filed under Fun Stuff. You can follow any responses to this entry through RSS 2.0. You can leave a response, or trackback from your own site. It looks like paper to me, which comes in wads rather than dollops. I’d say paper too, but i cheated a bit with google image search. With google I can do all things. While paper seems to be popular so far I’m going to go against the grain. Balls. It’s a really really close-up shot of balls. It’s Water Memory? You’ve discovered the neural network on a water molecule. Is it a close-up of some fibreglass? It’s crying out for some bolognese! I’ll be boring and go for paper too, perhaps a box of homeopathic pills? the Flying Spaghetti Monster, shot from below so you can’t see his meatballs? I’m going to say skin just to be different! 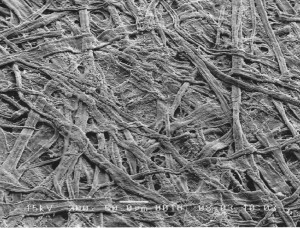 looks a little bit like cellulose fibres although maybe not straight enough. anyway i’m gonna say a cell wall. Looks a lot like how I remember paper under an optical scope looking when I was a kid, something with a bit of texture and absorbancy to it – old style School kids rough book or bogroll. 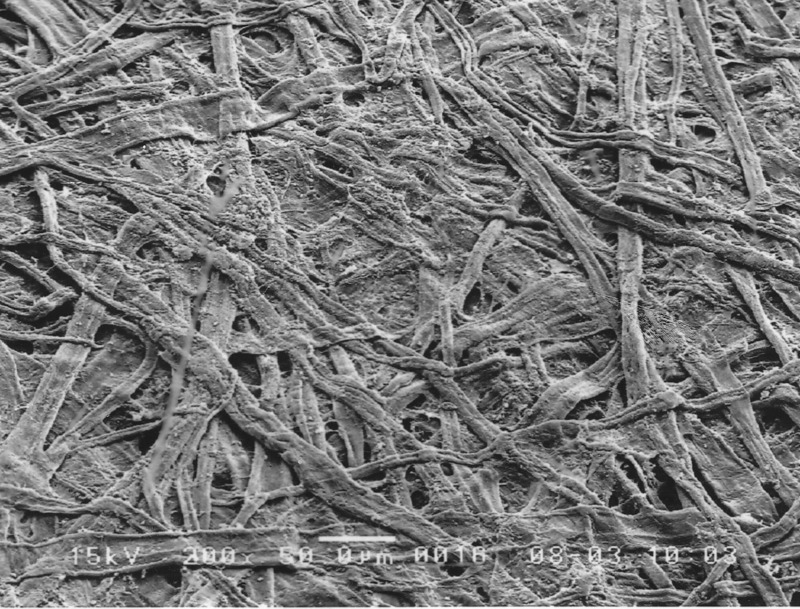 Is it a close-up of a human hair?